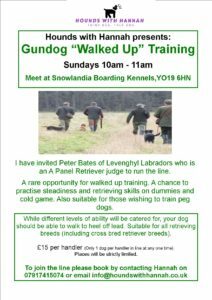 I have invited Peter Bates of Levenghyl Labradors who is an A Panel Retriever judge to run the line. A rare opportunity for walked up training. 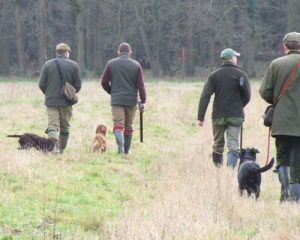 A chance to practise steadiness and retrieving skills on dummies and cold game. Also suitable for those wishing to train peg dogs. While different levels of ability will be catered for, your dog should be able to walk to heel off lead. Suitable for all retrieving breeds (including cross bred retriever breeds). £15 per handler (Only 1 dog per handler in line at any one time).